Neelam Rai in 6 months. Master Manifestation and create Epic Impact Income! You have stepped into your Entrepreneurial Role. Congratulations! I know life can bring some of our deepest fears and challenges into this Journey. Success is a Journey! Healing is a Journey ! Life is a journey and only you hold the map! What if you can Co-Create your realities with ease, grace and flow with your personal and business guides? What if you can start feeling completely Recharged, Healed, Balanced, Focused, knowing exactly what to do and when? What if you can BOOST your confidence in your work whether it be on online, Social Media live videos, your posts, Webinars or offline workshops, networking events to attract students and client that you’re meant to serve? 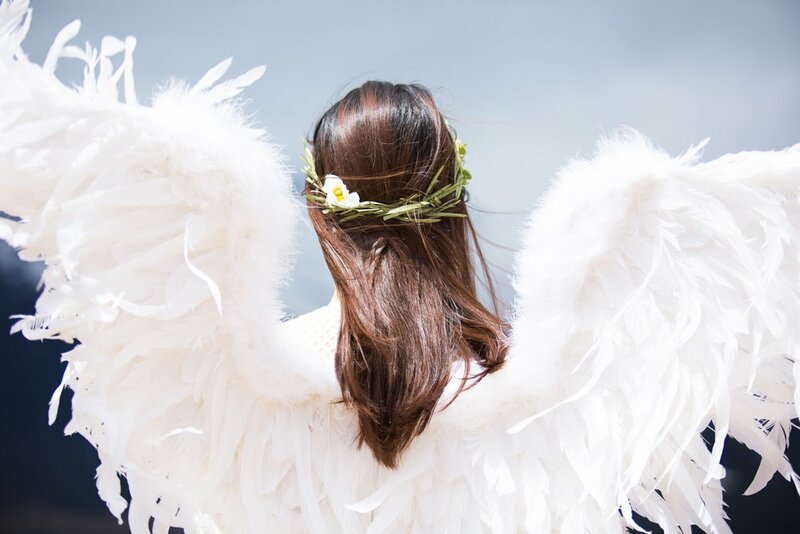 The Ancient Angelic Wisdom infused with Intuitive Business Coaching will help you unlock your truest potential, align you with your purpose that will give you the confidence, clarity, and focus. When you live in alignment, you can make the best use of your talents and gifts which will help you attract your soulmate clients in a way that fulfills you financially and creatively. Are you ready to step into a life filled with happiness, success, and fulfillment? Are you ready to release abundance blocks, limiting beliefs and unlock your power? If you said yes, let’s connect. You are super busy but this one hour power Angelic Psychic Session maybe all you need to gain clarity and Instant Angelic Miracle Healings. You have taken your Certification program but missing the support on affordable investment to start and run a business. “I am ready to Raise my practice to a higher level, strengthen my confidence and double my income"
You are ready to co-create with the cosmic team and Super Boost your: Personal Growth, Intuitive Abilities and Business Growth. Imagine, if you can trust your inner guidance every time, every day. Through my Intuitive Angelic Assessments, I tune into your hidden subconscious success and money blocks. For the past 20 years, I am been transforming my own abundance blocks, Mastering Manifestation with my Angelic Master Healings©, I am blessed to share my Multi-Dimensional, 12-in-1 Healing Modality to help you heal to prosper in life and business through my three guiding framework in mind. But don't take my word for it! I bring you my lifetime knowledge, tools, resources and training that’s needed for your ultimate success. But only you as a business owner can TAKE THE STEP to take your business and life to the next level. Here's what some of my clients who were seeking deep transformation had to say about their experience. "I highly recommend Neelam, she is such a positive energy source, full of love and high vibration energy which heals the mind, body and spirit. Just from working with her for a week, I feel my body healing, my focus intensify and my overall well-being increase and got my first client within 2 weeks." "
I take a holistic approach to business. We will identify Success Mindset and Money Blocks. Sign up to receive exclusive trainings to Boost Your Success Mindset and Clear Abundance Blocks!